Save up to 28 %Off List ! ZIG Clean Color Real Brush is perfect for quick illustrating, sketching, designing and cartooning. Zig Clean Color Real Brushes have actual hair brush tips in a disposable form that will give you clean, water-based color on the go. 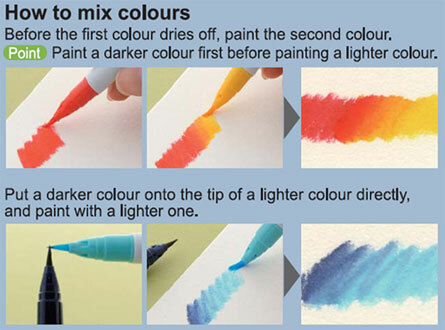 The colors can be blended like watercolors in a palette when used with a water brush.